If you’re trapped in a relationship that’s going nowhere, it helps to be able to recognise the red flags. Dating is an education. We don’t all have the intuition of knowing exactly what we like in a woman, and most guys have to date a number of potential partners to fully work out which characteristics will make us happy in the long term. However, spend too long dating an emotionally immature woman and it will drain you. Not only that, it can divert valuable time away from working on a rewarding and reciprocal connection. 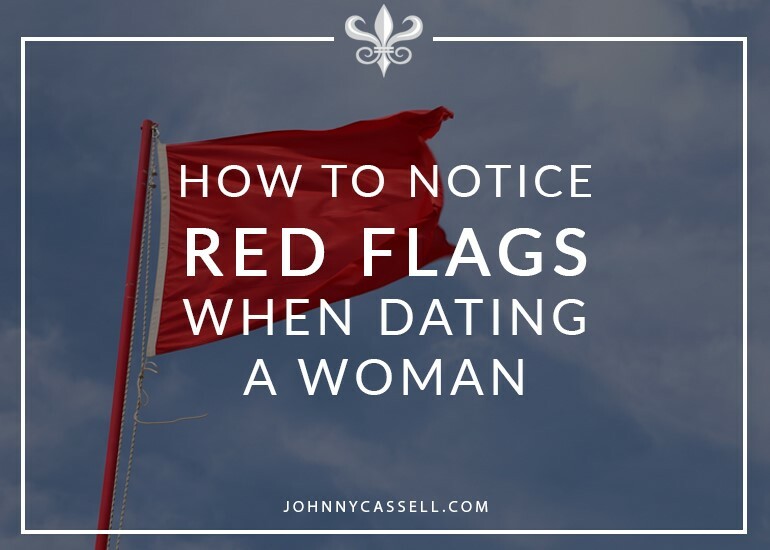 It can be easy not to notice the red flags in dating until it’s too late. There are a few clear warning signs that a woman is wrong for you. She could even be damaging or manipulating you in some way. Either way, it’s not a healthy or productive environment if she’s presenting you with an emotional rollercoaster. In all of this, ask yourself if you’re causing the problems. If you’re actually the source of the drama, apply some logic. Don’t start adding more fuel to the fire and shedding the blame. The situation is just going to get crazy if you do this, and, realistically, neither of you want that. People can be egotistical and stubborn, and you have to know how to defuse conflict rather than create further problems when these traits become apparent. Look out for the following signs. They will either drive you away later on, or they will be your trial by fire in terms of what you’re really looking to gain out of a relationship. The following signs are the typical dating red flags for guys. Irrationality can be a real spanner in the works of attraction. When you see yourself arguing with a woman about something completely unnecessary, it can start to become a real turn-off. The argument is normally not even about the hotly-debated topic at hand but a conflict elsewhere that she’s misdirecting. If she carries on being irrational with her thinking and the way she’s treating you, and if it gives you the feeling that you’re losing respect in the relationship, it’s a signal that things are starting to come apart. I was in a relationship for two years when I was younger. After I made a really effective approach in a shopping centre, I spent a long time with this woman, and one of the key factors in our breakup was her refusal to apply logic to any situation. Those first signs of wanting her out of my life were the repetitive arguments about nothing at all; normally a circular, frustrating experience based on assumptions that have been reached without the application of a rational process. I also believed the grass was not greener on the other side. I put her calibre of beauty over everything else. But you cannot let yourself become bedazzled by a women’s attractiveness and place that over and above emotional fulfillment. And you cannot underestimate your ability to find another woman of equal or even higher levels of attractiveness – as long as you work on your skills. A woman needs to treat you in a rational way, and if she is unable to do that, it may soon be curtains for the relationship. You need to stand up for yourself and set the terms of the relationship. If you don’t show a woman where the line is, they’ll treat you a certain way. When you let yourself be treated poorly, you lose her respect and your own self-respect. And if you lose respect, you lose attraction. We’re not always right, but if someone is acting in a way that transgresses your values, and you continue to let them, they’ll keep acting that way. When you put your foot down, you’ll often get the respect you deserve now that she knows she is being qualified against real parameters. It will often actually turn her on. Likewise, respect her. Make sure you are upholding your end of the relationship. Not only is it common decency that makes her feel secure, but it’s also your way of making sure you earn the right to call out the actions she takes that show irrationality. If you’re not patient with her, she has no reason to listen to you. Maintain respect in the relationship. It’s also a way of communicating and making sure the relationship works for both of you. Ignorance is such a turn-off. If a woman, or anyone for that matter, forms an opinion about an experience without ever having encountered what they’re talking about, it just makes no sense. It’s an early sign that you’re headed for the kind of irrational turbulence I mentioned earlier in the article. We always form reactions to things we don’t fully know and understand – nobody knows everything and most people still want to be part of the conversation despite lacking knowledge. Ignorance is, however, a fabricated stance and not a healthy mindset to get into at all. If it becomes a persistent part of your love life, you’re going to have problems. An opinion needs to be based on solid foundations. I need opinions around me because they’re stimulating, but ignorant opinions are ugly. If they dismiss a logic-based statement that you’re making without a logic-based response, that should be a huge red flag for you. Imagine what life with that person will be like in the long run. This woman will be raising your children. Make sure she’s going to imbue them with positive traits. Deep-seated, destructive insecurity should be a huge red flag. Immature girls tend not to have much life experience, and she might have little triggers that set off defensive and insecure behaviour. Maybe another girl’s liked your status on Facebook, or she’s seen other women talking to you. If your partner flips at these kinds of stimuli, she’s probably nursing some pretty brutal insecurities. Obviously, you should make sure you give her enough of your time, but you always need to find time for yourself. If she has a fair point, use her raising the issue as an opportunity to assess the current state of play – are you giving her enough attention? This relationship is not just about you. It’s about togetherness. But she has to respect your time. And if that’s not happening, you have to ask why. Can you work through it? Probably, but you’ll both only get to the other side with discussion. The onus is not just on her to be cool with you spending time with others and pursuing your own goals – let her know why you want to be with her. Don’t just let her feel insecure. You want her to feel strong in your relationship too. You can gauge a woman’s character by how she treats others. Is she irrational or explosive? Is she kind towards others? Is her behaviour justified in certain events? How would you react in the same situations or with the same people? There’s no right or wrong answer. This is just a red flag you can use to gauge whether she acts in alignment with your own values. This is an indicator of how she’s going to treat you, your friends, your family, even your children. You should be on high alert if you see her regularly treating other people with disrespect. In short, you don’t have to run away at the first sign of a red flag. Relationships take work, communication, and perseverance. But knowing what to look for can help you to identify harmful patterns in your partner’s behaviour and avoid prolonged unhappiness for both of you. 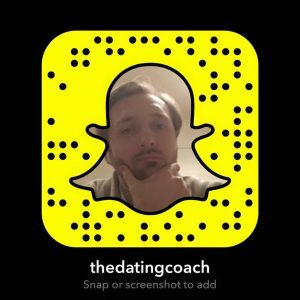 If you want to maximise your chances of finding the right partner for yourself and immediately inspiring attraction, get in touch at www.johnnycassell.com/pua-training. Let’s explore how my team of experts can help you.